As a get READY girl you are a woman who has unlimited spirit, is ready for the unknown and can be any age you want… there are no limitations. You flaunt your spirit through fashion and style. 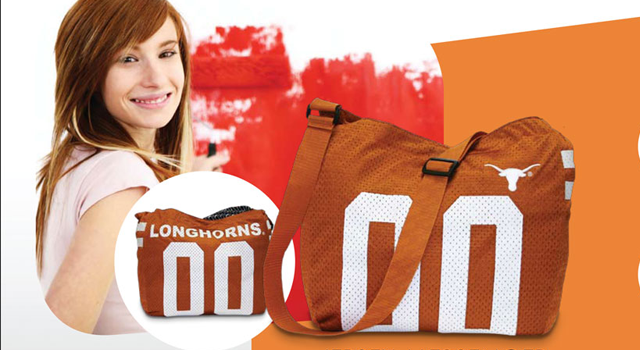 Whether in high school, college or an alumni rooting for your team get READY girls helps you sport your true colors. 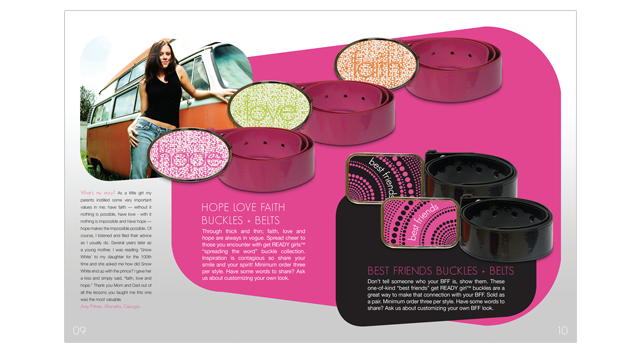 get READY girls runs a mail- and Web-order catalog selling misses apparel and accessories. 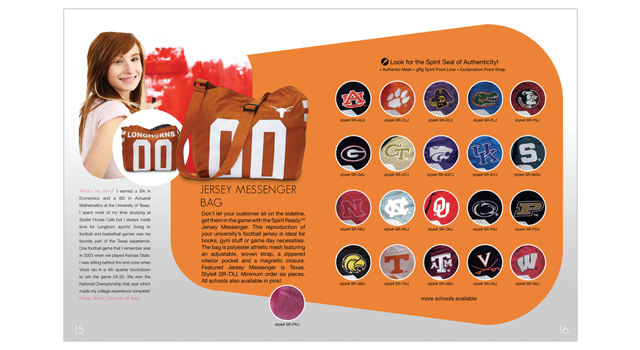 All items can be customized with the buyer’s choice of school logo and colors. Book features more than 750 outstanding, rarely seen examples of how the world’s best designers create the world’s best layouts.